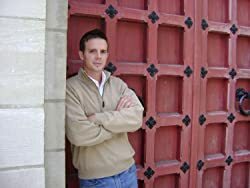 Andrew Clawson is the author of several books, including A Patriot's Betrayal, The Crowns Vengeance, and Dark Tides Rising. He lives in Pennsylvania, where he enjoys reading, writing as much as possible, and spending time with his rescued black cat, who brings him good luck and the occasional dead bug. Please enter your email address and click the Follow button to follow Andrew Clawson!